A concentrated source of live beneficial bacteria. Use when dietary conditions are changing, or after antibiotic therapy. Aids in relieving intestinal problems related to stress caused by boarding, showing, weaning, and traveling. Available in gel (15 gram) and powder (1 lb). 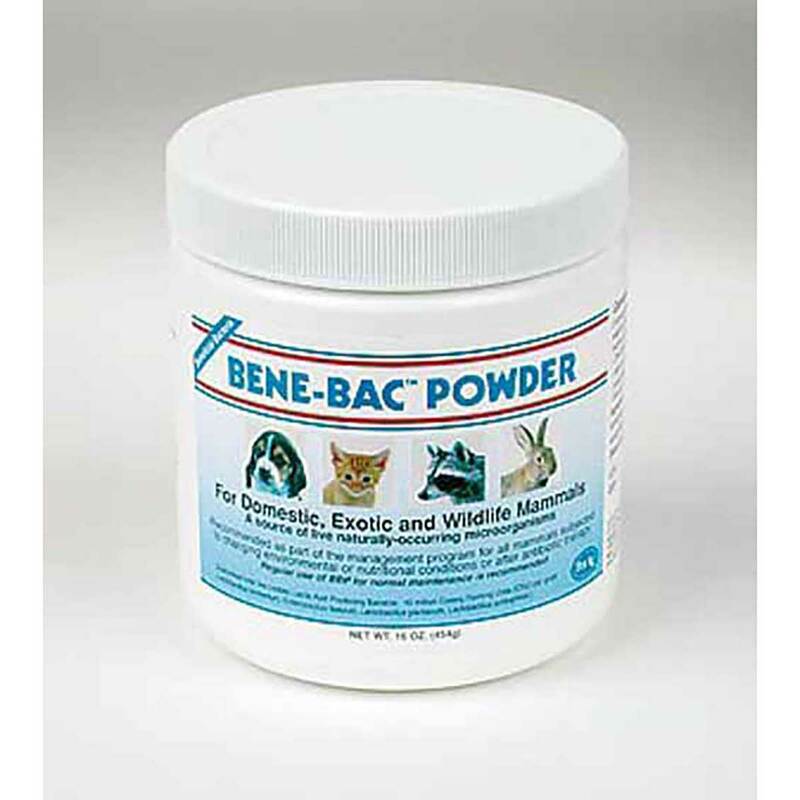 Bene-Bac powder has worked great for my dog with gastric issues. She has had problems her entire life and whenever they arise we put her on a regime including Bene-bac powder and she recovers.